The NES-inspired Alwa’s Awakening is coming to PlayStation 4 in just a few days time. It has previously launched on PC, Mac, and Switch. 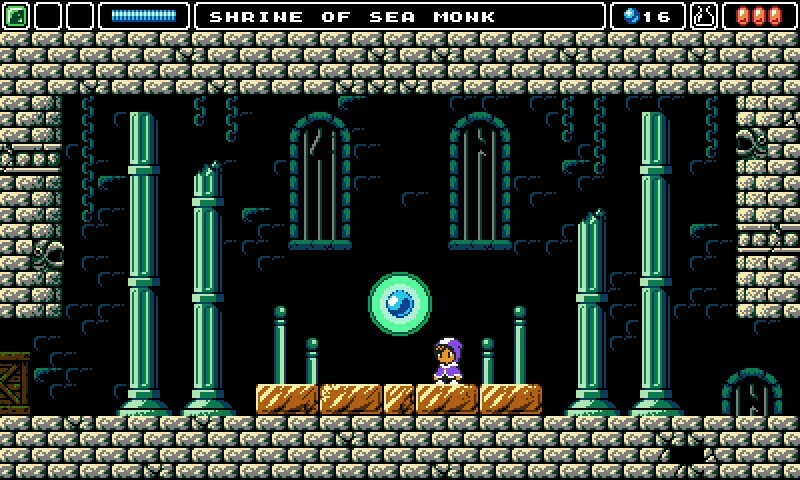 Alwa’s Awakening blends adventuring and Metroidvania-style platforming. You spend time fighting enemies, solving puzzles, and engaging in boss battles. You also have a magic staff at your disposal which at first is only used to whack foes with, but it later upgrades to bring new abilities such as creating a green block that helps open up exploration more and allows you to reach secret areas. Alwa’s Awakening arrives on PS4 on March 21.